All TAE package qualifications and units are delivered by Rose Training Australia Pty Ltd ABN 55 605 893 810 under a partnering arrangement with Australian Forensic Services Pty Ltd – RTO Code: 4282. All qualifications and statements of attainment will be issued by Australian Forensic Services Pty Ltd. This overview is to ensure that you as a potential TAE40116 Certificate IV in Training and Assessment (TAE) student clearly understand the implications, depth of knowledge, level of commitment, and study required to achieve the TAE40116 Certificate IV in Training and Assessment. Those entering this program must be able to demonstrate vocational competency in their proposed teaching and assessing area. Vocational competency is defined as broad industry knowledge and experience, and may include, but is not limited to, holding a relevant unit of competency or qualification. This means that you must already have a vocational area of expertise. This may be in anything from a trades to a management or business skill. This does not necessarily mean that you need a formal qualification. Relevant experience can have as much or more value than a qualification, and indeed a qualification without relevant experience may be of little value. TAE students ideally need a combination of knowledge and experience. Online learning plus face to face workshop: This program is available to all students. Supported off-campus group work may also be undertaken. Additional access learning sessions may be scheduled according to need. Duration – 6-12 months (Time allowed to complete all activities). This works out at between 80 and 90 hours per unit. If you were to pace yourself over say 6 months that is one unit every couple of weeks, or over a year about one unit a month. Keep in mind though that these hours apply to those with limited training experience. Our Workshop Program plus Supported Online Learning program allows for not only the benefit of face to face training but also gives you the opportunity to develop a training network with other workshop participants. We recommend that you attend the full 10 day workshop over 2 consecutive 5 day weeks. Chat to you student adviser if you cannot attend the workshop over consecutive weeks. If you choose not to attend a workshop, be assured that your trainer will be available to assist you through all stages of your studies with Rose Training. Q. Can I do the course quicker than the hours shown? A. Yes…Competency rules! Competency rules time or in other words experience and study skills can make a major difference to the time needed to complete this course. The time allocation shown as set is only a guideline and is biased towards the maximum amount of time that should be needed. Q. Do I have to attend the workshop? A. No. While it is highly recommended it is not mandatory. The learning resources are structured such that if you have the relevant experience you can, along with assistance from us, complete the qualification without attending the workshops. Study whenever and wherever you like! Do you have a group of learners who need training? 10 days of face to face workshops in two consecutive weeks of five days each, followed by up to 12 months of trainer supported online and/or computer aided. This can be split into attending the two 5 day blocks separately. If this is preferable please talk to one of our education advisers. This takes you from novice level to accomplished trainer. We encourage our graduates to share our curriculum with any potential employers as it clearly shows that they are now work ready – based on the solid foundation that has been built by achieving the TAE40116 Certificate IV in Training and Assessment. Practical presentations during face to face course days, or you may choose to utilise your own work-place. Pure online study is a more suitable option for some students. This option allows for your pace and your place flexibility. This option includes access to a trainer and drop in days (Brisbane and the Gold Coast). The course is structured so that the you can work independently. All necessary resources are supplied. With this option students need to arrange for their own placement for work based assessment. RPL is a great option for those who already have experience training, without the requisite qualification. This is an assessment only process – which while remaining rigorous does allow for the recognition of current and prior learning and experience. Talk to our in-house RPL expert to find out more. ‘Prepaid fees’ (sometimes referred to as ‘fees collected in advance’) means fees that are collected before the relevant services have been provided. These include payments made at any time before, during or after the student enrols. Any payment received before a service is delivered is unearned revenue and is a liability that must be paid back, either through service delivery or as a refund. Standards for Registered Training Organisations (RTOs) 2015 (Clause 7.3). 7.3 Where the RTO requires, either directly or through a third party, a prospective or current learner to prepay fees in excess of a total of $1500 (being the threshold prepaid fee amount), the RTO must meet the requirements set out in the Requirements for Fee Protection in Schedule 6. Rose Training Australia (Rose) allows the student full access to all resources upon enrolment. For students this means that they could, except for the assessment process, fully complete the course without further training support from Rose. Where payment is made in full at commencement, or at any time after, Rose has valued the “services not yet received” at less than the $1,500 threshold prepaid fee amount as set in the legislative instrument. Delivered over 10 days workshops are a robust academic overview of each of the TAE units and allow you the student to engage, learn, practice, and to be assessed across certain elements. Contact us for a workshop location near you. Students who opt out of the workshops are encouraged to use the same study sequence as shown for the workshop daily schedule. All sessions concentrate on developing practical skills rather than facilitator led learning. Time is given between sessions for you to do your pre-reading and to polish up your assessment tasks started in class. And remember: We also offer free access to scheduled drop-in days set up specifically to facilitate the presentation activities. Some of the assessment tools include formative and summative assessments. The first instruments are formative only or in other words practice activities in the learning pathway. These are recommended but optional. They do not need to be submitted. They are not included in the mapping summary, as they do not contribute to summative assessment. If you are a new to training it is recommended that all of these tasks be completed. These Assessment Tasks which (normally 7 – 10 per unit) address all of the requirements of the unit of competency and are mapped in the mapping summary. All summative assessments must be completed. Assessment tasks may utilise case studies, simulated experiences, workplace reality, basic questions, research. Many are template driven, and most templates are supplied and/or can be found in the formative questions. All student submissions and learning resources are found on the Rose Training Australia LMS. You will be provided with a login and technical support as needed to get you started and to help you out during your studies. The learning guides follow the same format as this document you are currently reading. The packaging rules simply define the elements that are found in the training package. A training package can be seen as a box that contains within it certain criteria and elements necessary to achieve competency in a particular area of expertise. 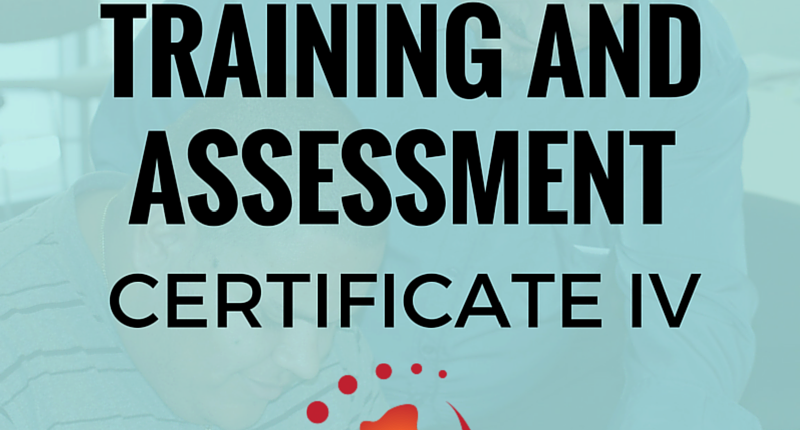 from any currently endorsed Training Package or accredited course at Certificate IV or above. The elective unit chosen must be relevant to the work outcome and meet local industry needs. Rose Training has predetermined the elective unit as BSBCMM401 Make a presentation – an essential skill for all trainers. This core unit describes the skills and knowledge required to design and to develop assessment tools used to guide the collection of quality evidence, including their application in formative, summative and recognition of prior learning (RPL) assessment. This core unit describes the skills and knowledge required to conceptualise, design, develop and review learning programs to meet an identified need for a group of learners. The unit addresses the skills and knowledge needed to identify the parameters of a learning program, determine its design, outline the content, and review its effectiveness. It applies to trainers or facilitators who work under limited supervision to design, or develop, learning programs that are discrete, and provide a planned learning approach that relates to specific learning and training needs, or part of the learning design for a qualification. This core unit describes skills and knowledge required to plan, organise and facilitate learning for individuals in a workplace, using real work activities as the basis for learning. It applies to a person working as an entry-level trainer, teacher or facilitator or an employee, team leader or workplace supervisor responsible for guiding learning through work. This core unit describes the skills and knowledge a vocational trainer or assessor requires to identify language, literacy and numeracy (LLN) skill requirements of training and the work environment, and to use resources and strategies that meet the needs of the learner group. Competence in this unit does not indicate that a person is a qualified specialist adult language, literacy or numeracy practitioner. This core unit describes the skills and knowledge required to use training packages and accredited courses as tools to support industry, organisation and individual competency development needs. It applies to individuals who are working in or with training and/or assessment organisations as an entry-level trainer, teacher, facilitator or assessor using a pre-defined training product, such as a training package or accredited course. This core unit describes the skills and knowledge required to plan, organise and deliver training for individuals within a group. It applies to a person working as an entry-level trainer, teacher or facilitator structuring a learning program developed by others in, or with, a training and assessment organisation. This core unit describes the skills and knowledge required to plan the assessment process, including recognition of prior learning (RPL), in a competency-based assessment system. It applies to individuals with assessment planning responsibilities. In planning activities and processes, individuals are required to identify the components of assessment tools, analyse and interpret assessment tools, and develop assessment instruments (also known as assessment tasks) and assessment plans. This core unit describes the skills and knowledge required to participate in an assessment validation process. It applies to assessors and workplace supervisors with assessment validation responsibilities participating in, but not necessarily leading, the process. This core unit describes the skills and knowledge required to implement an assessment plan, and gather quality evidence to assess the competence of a candidate using compliant assessment tools. It applies to teachers, trainers and assessors in enterprises and registered training organisations (RTOs) and those providing assessment advisory services. Why Choose Rose Training Australia? 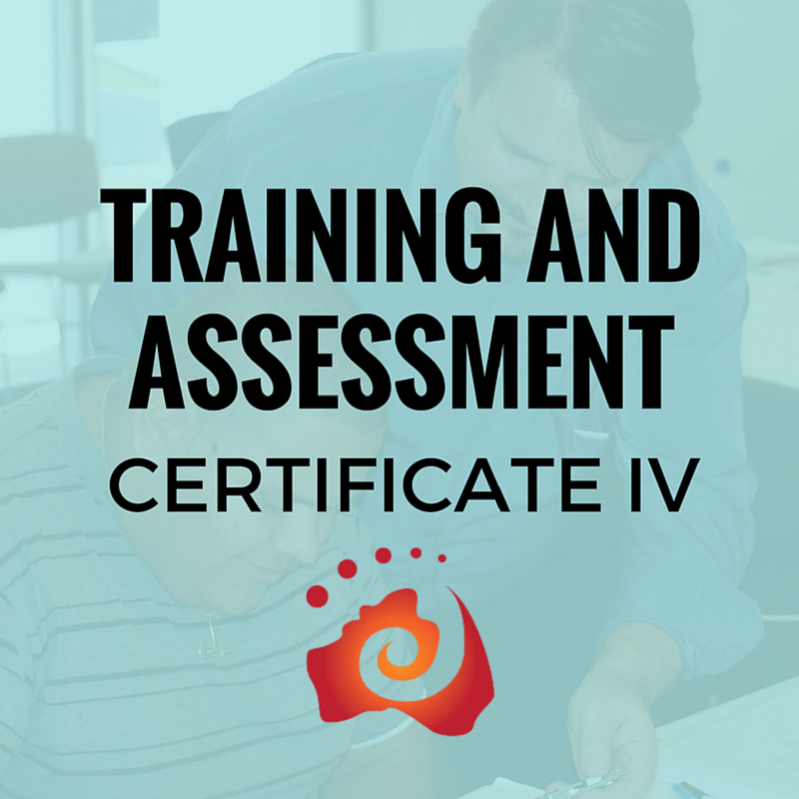 Ask yourself…Does the Certificate IV course tick all the boxes? And most importantly..Will the course give me what I’m after? Well presented in a clear way that involved all students. Great week, Serge is a very knowledgeable trainer with engaging delivery skills and methods. Serge was informative with good contextual grasp. One of the very best trainers I have ever had. Made me feel comfortable and got me involved in activities which is a big deal for an introvert but I'm thankful. Thank You Serge! Serge kept the group interested and working together. Course well-structured and very well presented by Serge. Good balance of effective learning and enjoyment. Good facilities and resources. Thank-you Serge and the Rose Training Team! Serge is skilled and professional. I would recommend my friends to come here for training. Great presentation! Thanks very much for helping me further my career! My trainer was very knowledgeable and approachable, and looks just like Brad Pitt! Serge was a great trainer who helped all the way through the course by helping with getting everyone involved and engaged into the course. I highly recommend this training! The training was delivered clearly, but being new to WHS, I feel sometimes it was hard to keep up. But all in all, I enjoyed the course, Serge was very thorough! Thank-you for your time team! I found the trainer to be knowledgeable and helpful. He is friendly and easy going! A very informative and useful course, the instructor Serge was very knowledgeable and a great instructor. Great course content, excellent course instruction and group engagement. Great course and a very good instructor thats more than happy to help.